When you live in a small city like Blackshear, Georgia, everyone tries to play their part. “Because of all the limited manpower, we kind of do more with less,” said Blackshear Police Chief Chris Wright. That’s why Johnnie Anderson, a Blackshear firefighter of 30 years, directs traffic when the Pierce County Middle and High schools get out. “We asked Johnnie if he would mind working at this intersection because this is the one that’s the most crucial and the most dangerous,” Chief Wright said. Wright says it’s dangerous because the school’s exit road intersects with a highway. “We’ve got somewhere around 1300 and 1400 vehicles trying to get out,” Wright said. Wright says Anderson had attempted to stop highway traffic to allow cars to turn into the school, and one car didn’t get the message. “Witnesses said that it looked like he had indicated for the gentleman to stop, held his hand up, and he just didn’t,” Wright said. Anderson was hit and airlifted to UF Health in Jacksonville. He reportedly suffered brain bleeding, internal bleeding, and had to undergo surgery. Wright believes having a traffic light there would’ve prevented this, but they can’t get one approved. “For at least five years we’ve petitioned GDOT to have a red light installed at this intersection,” Chief Wright said. 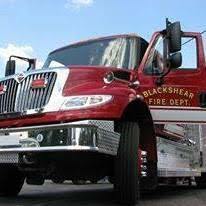 “We need it so badly,” said Blackshear mayor Kevin Grissom. Grissom says because the intersection only sees high traffic in peak school hours, they don’t meet DOT’s requirements to warrant a signal. “I know that those that have been before me have tried for five years, but obviously we have a real need for it,” Grissom said. They say the lack of a signal has already put a good man in the hospital and he didn’t deserve it. “[Anderson] has spent his career being a servant and just more than willing to give anything he could give to his community,” Wright said. We reached out to GDOT who says though they don’t qualify for the traffic signal, they are conducting a safety study to see what safety enhancements may be warranted. Safety enhancements could include things like a stop sign or warning lights. Grissom says he will continue to push for a traffic signal. “We definitely need it regardless of [the] size of [the] population,” Mayor Grissom said. A GoFundMe page had been set up to help Anderson’s family as he undergoes recovery for his injuries. As an alternative, the Chief says they have established an account at PrimeSouth bank. Donations can be made to PrimeSouth Bank – Blackshear Fire Department Johnnie Anderson fund.